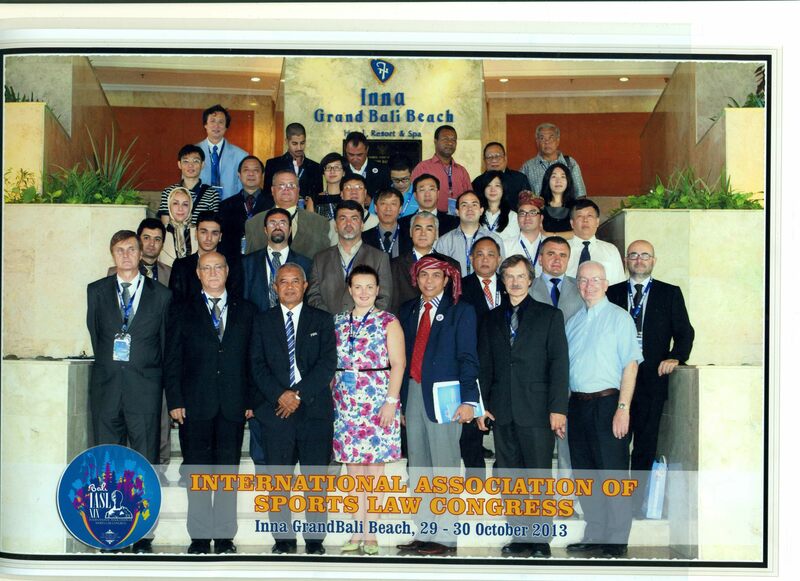 October 29 - 30 2013 in Bali (Indonesia) hosted the 19th IASL Congress «INTERNATIONAL LEGITIMACY OF SPORTS, SPORTS LAW AND SPORTS TOURISM AND LEX SPORTIVA». The success of this event in terms of attendance and participation confirms, year after year, the attractiveness of this Congress to120 delegates from 35 countries, representatives of the Government of Indonesia, Ministry of Sport, representatives of sports federations, leagues, clubs, managers and editors of specialized scientific journals in the field of law, researchers and practitioners, the media, etc. Professor Syracuse University JhonWolohan, USA. At the congress discussed many current issues in sports law.